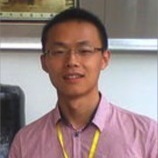 Zhihui joined the Franklin group in Fall 2014 as the first student in the new group. Prior to pursuing his doctorate at Duke University, he worked as an electronic engineer in developing the iPhone 6 at Foxconn. His current research interests are in high-performance nanoelectronics and low-cost printed electronics. Besided ruminating about transistor switches, other things he enjoys doing daily include: meditation, reading poems, and listening to classical music. Zhihui's life passion is to research and innovate technologies that have the potential to improve the quality and progress of human civilization.